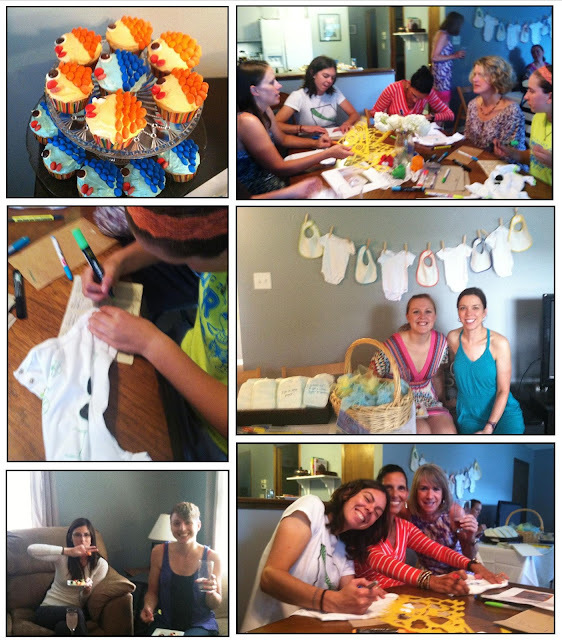 Emily Robnett: Baby Shower for a Cyclist! 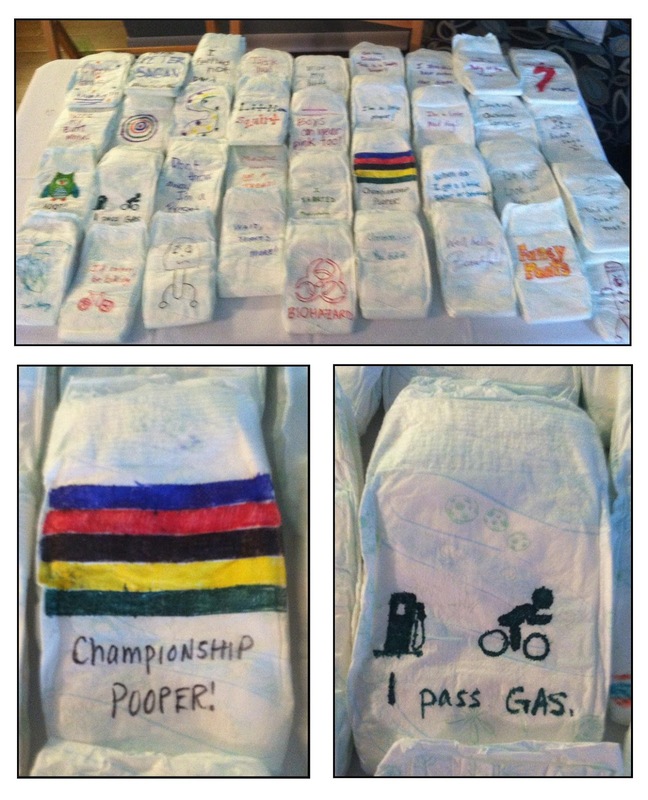 Baby Shower for a Cyclist! What happens when a fellow cyclist has a baby on the way? Why, you throw an amazing Baby Shower, of course! This weekend, I was honored to help throw a baby shower for my good friend (and awesome cyclist) Robin Williams (interview & blog post coming soon!). Robin has been there for me on many occasions, on and off the bike. I could not have been happier to throw her a party celebrating her little baby, who we are all very excited to meet! We decided to bypass all the typical baby shower games, which can be boring and embarrassing (who ever thought it was a good idea to use string to guess how big around the mom to be’s belly is?!). Instead, we opted to decorate onesies, and write some funny notes on diapers for those not so fun late night diaper changes. Of course when you have a big group of cyclists, things are bound to take on a cycling theme. And the diaper notes were hilarious. Even if mom and dad are too tired to appreciate the humor, at least they are getting some extra diapers!! I’m going to go ahead and admit that I don’t usually like baby or wedding showers. They are just too stuffy and forced feeling for my taste. But this was FUN, and I’m not just saying that because I hosted ;). You can’t go wrong with a great group of girls, some yummy food, drinks, and reason to celebrate! Nice sharing! Can I share your post on my blog? Here is my blog url best shower head reviews. It sounds like a wonderful Baby Shower for a Cyclist! I have always dreamt of such a lovely bash and luckily I had received one by my sister. She had booked this chic party at one of the prettiest event halls for rent in LA. It is one of my favorite baby shower events!